Just three months after the death of John McCain (which I reflected on in my September newsletter), we have lost another fine leader, perhaps the best of my generation, President George H.W. Bush. Bush was a seasoned executive before he served in the White House; he was a World War II veteran, businessman, congressman, ambassador to the United Nations, representative to China, director of the CIA and Vice President under Ronald Reagan. This experience at various levels of national service made him a highly qualified public servant. Bush’s White House was organized, competent, and easy to work with on trade and international issues. Applied Materials and other high-tech companies benefited because his Administration listened. 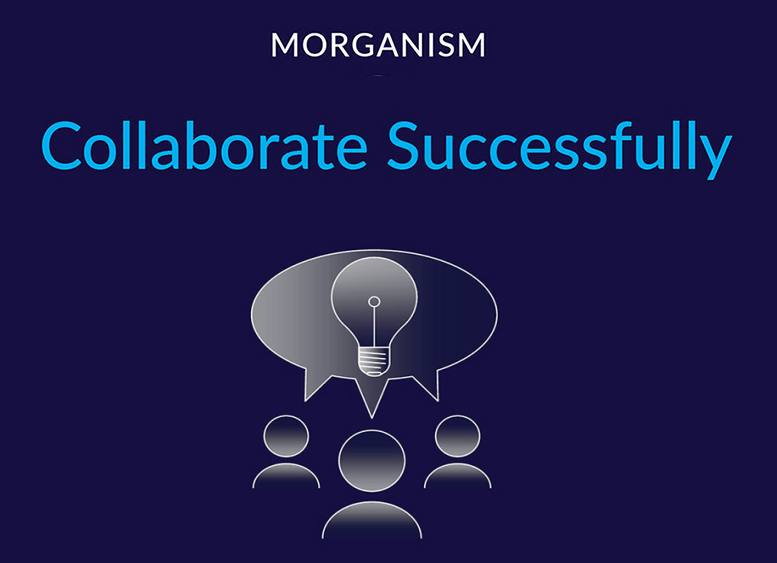 My overriding Morganism is that you must build and model a culture of trust and respect. Interacting with Bush and his various organization teams over the years always impressed me that he sought people that were competent, engendered respect, and were themselves respectful. My wife Becky and I were present at Bush’s Inauguration and also the 1988 Inaugural Ball that he and Barbara Bush attended in Union Station. As they ascended the stairs to the dais I saw him take on an aura of transformation—he became our leader, the President of the United States. In 1988, I joined the National Advisory Committee on Semiconductors (NACS). The NACS Committee was set up during the Reagan Administration but it was most active under George Bush. As Vice President, Bush had come to Applied in a campaign stop two weeks before he was elected President. Our team did an outstanding organizational job—a tent for over 1000 people, at least 30 camera people plus reporters, and a large multijurisdictional security detail, as we hosted the Vice President and Governor Deukmejian and my favorite Republican leader, Senator Becky Morgan. A culture of respect and trust begins with a commitment to hiring excellent people. Bush had a tough inner decisiveness but he showed respect and trust for his experienced team and they for him. Throughout his administration, he sought help and advice from a talented group of staff and advisors, including Secretary of State James Baker III, national security adviser Brent Scowcroft, and General Colin Powell, chairman of the Joint Chiefs of Staff. I’ve learned that nothing beats working for excellent, principled managers, and Bush certainly fit that bill. One of the highlights of his term as president was working closely with Mikhail Gorbachev to usher in the end of the Cold War, including the reunification of Germany, and the breakup of the Soviet Union, with the largely peaceful regime changes in the Eastern Bloc. As the New York Times noted, Bush chose a collaborative approach to this momentous event and gained Gorbachev’s trust. If you don’t develop processes collaboratively, ideally requesting but also accepting input by all stakeholders, your culture will be plagued by simmering resentments and sometimes even sabotage. Before attacking Iraq in the First Gulf War, Bush obtained support from the United Nations Security Council and a coalition of 28 countries. The ground war was over in 100 hours. Agreements must be perceived as fair by both parties. Goals should be attainable and payoffs realized. Long-term relationships have greater payoffs financially and in personal satisfaction than quick reward of advantage. I don’t expect to make money before my partner makes money. I keep my partners apprised of both the success and failures of my efforts. I believe my contribution is critical, but that my partners can be successful without me. All business relationships require open and honest communication, teamwork, and patience. Principles such as these clearly informed the approach that President Bush followed when faced with national challenges, and in working day-to-day with the House and the Senate during his term as president. A culture of respect and trust, and a willingness to collaborate with opponents remain central to President George H.W. Bush’s legacy in Washington. I hope that the topics in this year’s newsletters have helped to inspire you to think about what you can do to shape the culture within your organization. I’d like to hear from you on this topic, please comment below. Sonoma County and the city of Santa Rosa are holding a ceremony tonight in observance of the anniversary of last year’s disastrous Sonoma fires, including a memorial bell ringing for the 24 people who died. Just 60 miles north of San Francisco, this community has pulled together over the last twelve months to understand the lessons of the fires and to chart a path forward. 2018 has been another terrible year for wildfires in California. And not just California. All summer long fires raged out of control in Montana, Idaho, Wyoming, Washington, Colorado, and Oregon, and in Canada in British Columbia, Alberta, Saskatchewan and Manitoba. This summer’s Ranch Fire in Northern California was the largest wildfire in California history—it burned over 400,000 acres. A firefighter who died there was the sixth fatality among California firefighters this year. As I write this newsletter in early October the wildfires appear mostly to be contained, which gives us a chance to reflect on what management thinking is useful in addressing this worsening crisis. Clearly collaboration, planning, and implementation are critical—but how can these be achieved? I understand the challenge at the regional level because I have watched the impact of an organization, the California Stewardship Network, that my wife, former State Senator Becky Morgan, started over 10 years ago. It’s a nonprofit alliance that pulls together fifteen diverse regional organizations from across California. It has proven to be a good means to achieve sustainable solutions with all the stakeholders—public, private, and nonprofit—engaged early. Each stakeholder should have a role, deliverables, and a responsibility to make and manage the consequences of their decisions. A locus for action in addition to the normal regional work is the annual California Economic Summit. It is co-sponsored by the California Stewardship Network and by California Forward, a nonprofit devoted to improving the performance of government in California via an increased emphasis on accountability and transparency. The Sonoma fires hit just a few weeks before the 2017 Summit, which was held in San Diego. Sonoma sent a cohort of elected officials, community and business leaders to the Summit. On the first day, one leader stood up and gave an impassioned plea for help. The Summit set aside a room during the cocktail hour when any attendee could join in a conversation about what Sonoma County’s next steps as a region should be. The turnout was amazing—at least 80 people from around the state, including state senators, nonprofit leaders, educators and businesspeople—gathered and offered their wisdom about what Sonoma needed to do to get back on its feet: act quickly while FEMA was still on the ground, think about getting temporary exceptions to regulations in order to expedite re-building, at the same time re-thinking zoning, while protecting jobs and restoring open space. The meeting was a wonderful example of democracy in action. One person summarized it by calling out both the reality and the opportunity: California will have more wildfires, but Sonoma County could set an example. The Summit’s goal was to work with local leaders to establish a governance model that can be adopted by every California community—before disaster strikes. California Forward then partnered with the California Economic Summit to document Sonoma County’s response to the 2017 wildfires—and to analyze in real time the lessons learned and the opportunities for change that are emerging as a result. As an example, the City of Santa Rosa and Sonoma County are working to improve their governance structures, seeking to integrate a variety of agencies and policies focused on common goals. This includes the creation of a new Office of Recovery and Resiliency structured around five critical functional areas—Community Preparedness and Infrastructure, Housing, Economy, Safety Net Services, and Natural Resources. California Forward’s assessment focused on three areas where Sonoma has already made important progress—economic recovery, governance and fiscal sustainability. It also highlights several issues where California Forward believes local leaders need to focus next. Other regions affected by wildfires can take a lesson from the way Sonoma pulled together across government, nonprofit and business lines, collaborating successfully to expedite recovery and chart a different course for how humans think about wildfires in the future. This year’s Economic Summit will be held in Santa Rosa on November 15 & 16. Also inspired by Sonoma’s response to the fires, resiliency has become a major theme of the summit—the need for resiliency in every region—whether it is from natural disasters, climate change, or economic uncertainty. Successful collaboration, planning, and implementation are possible when all stakeholders—public, private, and nonprofit—are engaged with goodwill, determined to achieve a collective solution. I first met John McCain in 1987, when he was an Arizona Senator, in the early days of his political career. I had been in the military; it was something that we shared in common. I met with him and his staff on several occasions, both on behalf of Applied Materials and while on the board of SEMI. Senator McCain’s passing late in August has given us the opportunity to reexamine the state of politics in America. It has also given me the opportunity to reflect on how he demonstrated some of the principles from my book Applied Wisdom. McCain impressed me. He was interested in the success of the high tech industry in the United States and globally, and also in aerospace and defense. He was very direct, but balanced the directness with a good sense of humor. As chairman of the Senate Commerce Committee, from 1997 to 2001, he held numerous hearings on global warming, and co-sponsored legislation with Senator Joe Lieberman to curb greenhouse-gas emissions. Through his long political career McCain seemed to harken back to an earlier era in American public life, marked less by partisanship, and more by a genuine concern for the issues that were most important. He was known throughout his career for a willingness to reach across the Senate when necessary, working with Democrats to advance important causes. Not everyone agreed with his views, even some of his closest friends. But many more admired his willingness to speak out across party lines in support of his country. Few Republican politicians are willing to speak up against the views of our current president. This was not the case with John McCain, who crossed swords with Donald Trump on multiple occasions. Everyone who followed McCain’s career, even slightly, was aware of his time as a POW during the Vietnam War. For five and a half years he endured beatings without adequate medical treatment. He was kept in solitary confinement for two years. In the midst of his captivity he was offered a chance for early release before his fellow prisoners. But, according to the military Code of Conduct, prisoners must not accept special favors and McCain turned down the chance to end his suffering. And so he was tortured. He was finally released in early 1973, with permanent injuries. When considering McCain’s achievements, his bravery under the most extreme conditions is impossible to ignore. In reflecting on Senator McCain’s life and career in the military and in politics, I am pleased to see his validation of some key principles from my book Applied Wisdom. You can’t build an organization, whether public or private, without respect for all of the players. McCain had an ability that is essential to organizational success, a willingness and an ability to collaborate, cooperate and compromise. Perhaps one of the greatest testimonies to Senator’s fidelity to these principles was the fact that he chose two former political rivals to speak for him at his funeral. 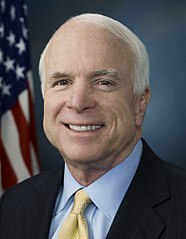 President Barack Obama and President George W. Bush were two men whom Senator McCain ran against and lost in bids for the Office of President of the United States. Though he was defeated by both he continued to work with and support them from his role as a U.S. Senator. I think that John McCain represented all of the things that have been spoken about him: courageous, honorable, strong, honest. A leader. We are going to need more people like John McCain. PS: I’d like to hear from you on this topic, please comment below.